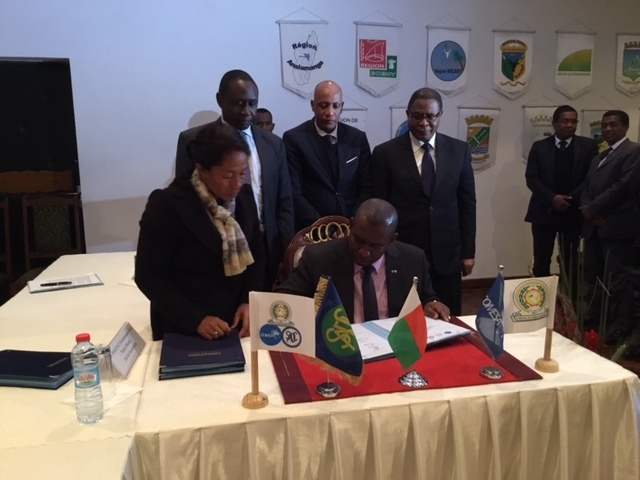 The Republic of Madagascar has become the 20th country to sign the Tripartite Free Trade Agreement. The agreement brings together three regional economic communities – COMESA, EAC and SADC – into a single free trade area. The Tripartite Free Trade Area (TFTA) constitutes 57% of Africa’s population with a combined GDP of US$1.3 trillion as of 2015, making it one of the largest free trade areas in the world. At the 1st Tripartite Summit of Heads of State and Government held in Kampala in October 2008, leaders of 26 African countries met and took a bold step to establish the largest trading arrangement in Africa. The 3rd Tripartite Summit of Heads of State and Government signed the Tripartite Free Trade Area (FTA) Agreement on 10th June, 2015 at Sharm el Sheikh, Egypt. The Agreement was expected to come into force 30 days after 14 Tripartite Member/Partner States deposit instruments of ratification. The Tripartite Summit also signed the Sharm el Sheikh Declaration launching the Tripartite FTA and commencement of Phase II of the Tripartite negotiations and adopted a Tripartite FTA Post Signature Implementation Roadmap. Find out more about the TFTA negotiations here.